With contrasting stripes on the peak, the custom Hi Vis Two Tone Peak Brushed Heavy Cotton Cap makes your staff very visible. Super low pricing for every budget. Bulk discounts apply. Are you planning your next big event for your company? Are you thinking of giving away a token for your clients? Then check out the custom Hi Vis Two Tone Peak Brushed Heavy Cotton Cap. 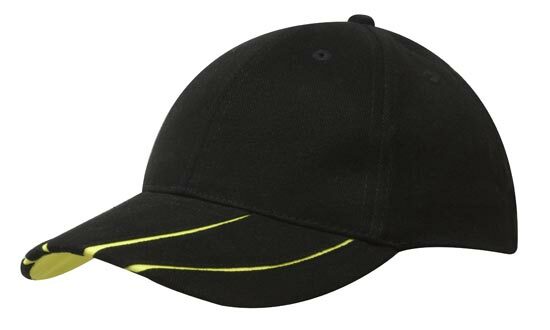 This promotional Hi Vis Two Tone Peak Brushed Heavy Cotton Cap is one great item that your employees or clients will surely appreciate. It’s not just a cap that’s made to look good and keep you cool. What’s special about this product is that it’s also got a safety feature functionality. 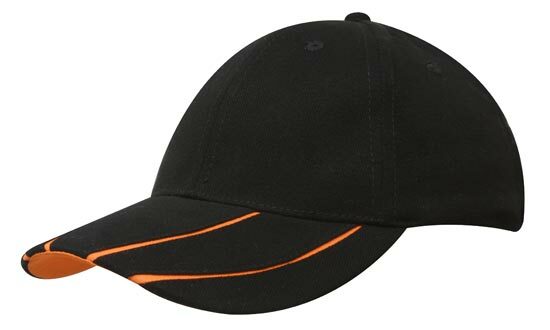 The branded Hi Vis Two Tone Peak Brushed Heavy Cotton Cap is made for heavy duty purposes. Its brushed heavy cotton material is highly durable yet very comfortable to wear. 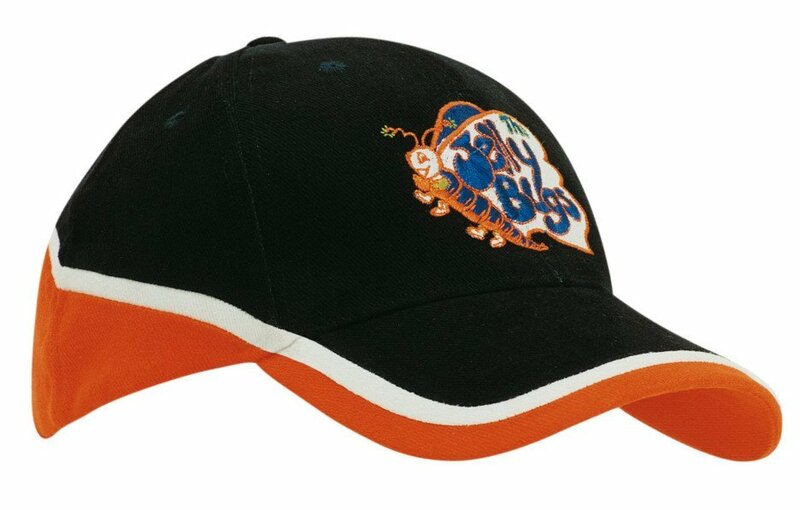 It has the popular six-panel structure design with embroidered eyelets to keep wearers cool all day long. 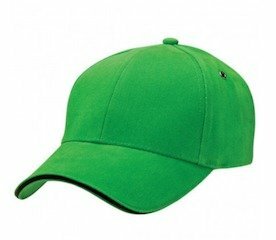 But what makes the personalised Hi Vis Two Tone Peak Brushed Heavy Cotton Cap a winner is really its safety functionality. The reflective luminescent stripes that run along the peak have always been a popular and a sought after feature. This budget priced cap is perfect for events where you need people to be kept in check, especially during the night. Perfect for activities like marathons, cycling, or camping. 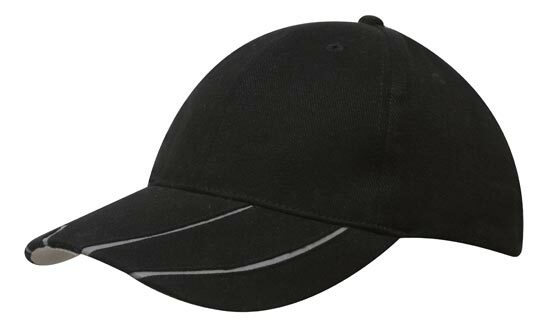 The economical priced Hi Vis Two Tone Peak Brushed Heavy Cotton Cap comes in black, with varying reflective stripes. The available colours for the stripes are green, orange, and silver. All of the stripes’ colour variants are highly reflective. 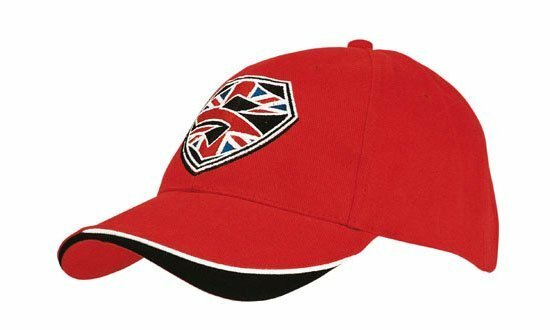 The decorated Hi Vis Two Tone Peak Brushed Heavy Cotton Cap is one great product and one deserving of your logo. So when you’re ready, send us your design and let this great product do wonders for your promotion. 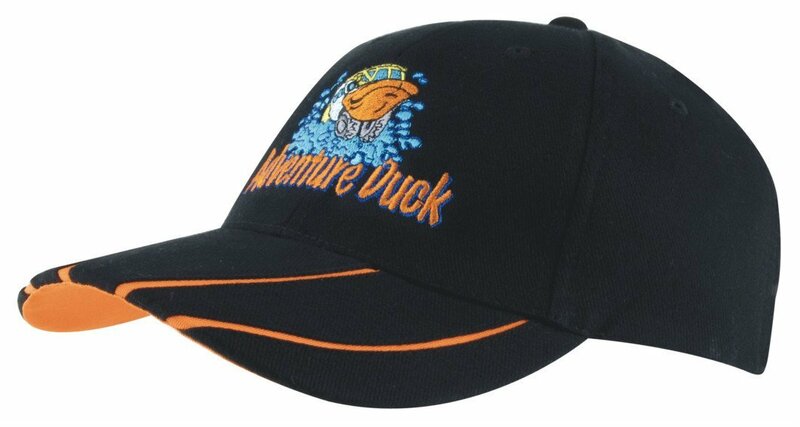 We also offer the same reflective features on promotional hats. Check out the customised Hi Vis Reflective Safety Hat. We have more awesome products so just feel free to keep browsing our website. Turn heads with the custom Hi Vis Two Tone Peak Brushed Heavy Cotton Cap. This hat will help your brand command the attention it deserves. Avail too of our show- stopping Cointreau Truffles, and other selections from our confectionery lineup. Our customer service representatives are on standby for any concerns you may have. If you want to talk to us, our website has a live chat feature. Or just call us at 1300 008 300.